Item Number: 34-6-210 17487 Actual Weight: 48 lbs. 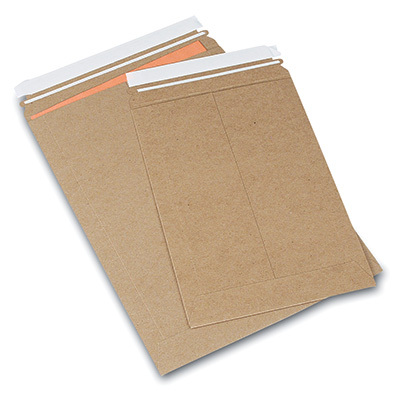 Lightweight mailers protect contents from dirt during mailing cycle. Features a pressure sensitive peel-and-seal closure and tear strip for opening. Sizes listed are outside dimensions. Made from 100% recycled paperboard with 97% post-consumer content. 100% recyclable.